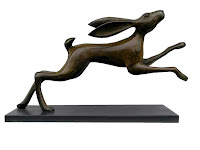 The following is excerpted from The Leaping Hare by George Ewart Evans and David Thomson. . . .The moon is perhaps the most manifest symbol of [the cycle of being] . . . the universal becoming. 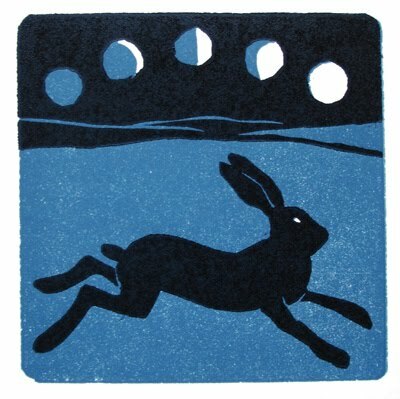 At one part of its cycle the moon disappears – dies – and is born again three nights later; and it is not only an emblem of the natural process of birth, growth, decay and regeneration but of the mystical idea that underlies most primitive initiation rites: that a being must first die before he[/she] can be born again on to a higher spiritual level. 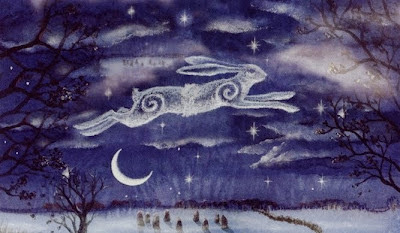 Now the moon and the hare occur together in myth and folklore – in India, China, Africa, Mexico, North America and Europe; and the immediate question we have to answer is: why is it the hare rather than any other creature that is so identified?
. 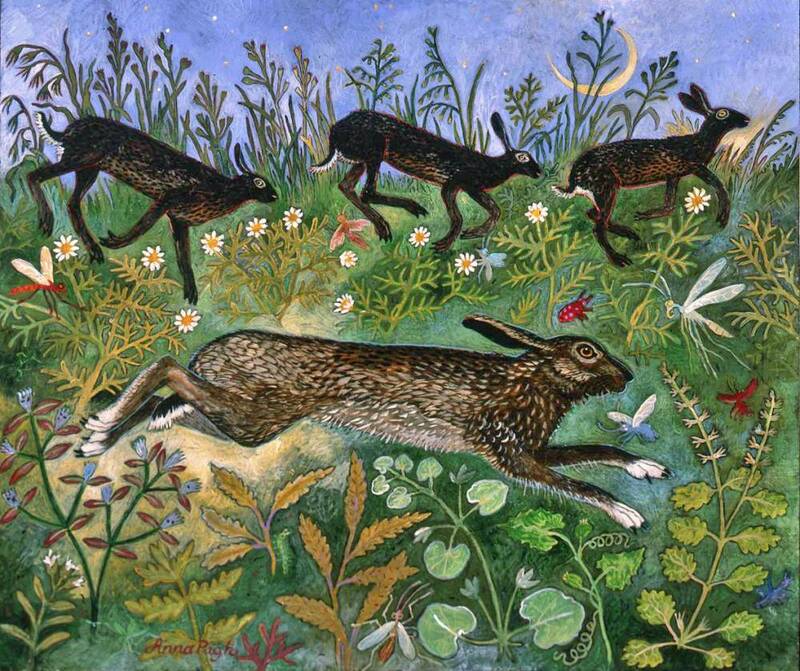 . . First, the hare is nocturnal and spends most of its day in a shallow form on the found; and unless someone approaches very closely it will not move away from its resting place. Apart from certain times of the year, in the spring mating season or during the corn-harvest when the hares are disturbed, there are few to be seen about the countryside. 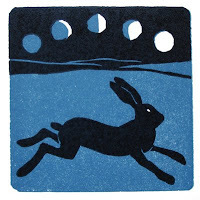 But you will frequently see them out at dusk or in the light of the moon, moving about and feeding in the fields. If they have lain in the open or in the woods or reeds of a marsh for the best part of the day, they will come out into the open at night to feed and disport themselves. . . . Image 1: "Luna Moon Hare at Samhain" by Wendy Andrew. 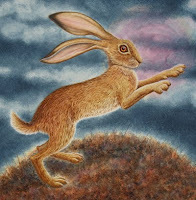 Image 2: "Moon Hare" by Michael Gage. 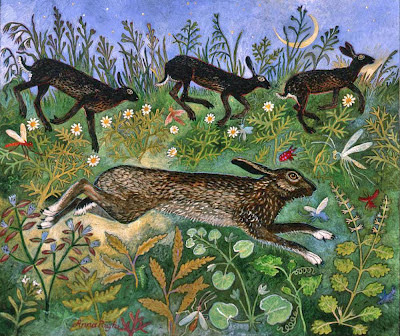 Image 3: "Moon Run" by Anna Pugh.